Jimmy Fallon has bested Stephen Colbert in the ratings for the first time since the week before Donald Trump’s inauguration. 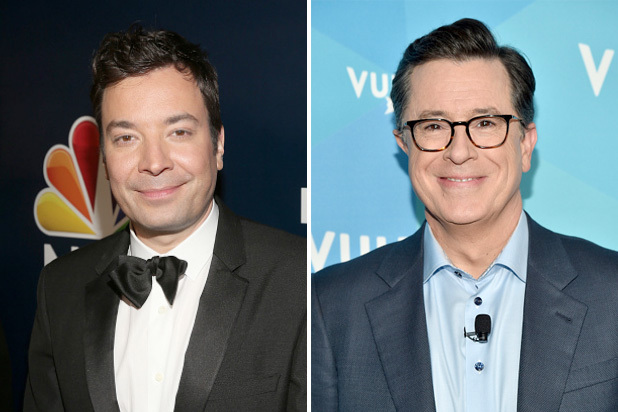 “The Tonight Show,” hosted by Fallon, won late-night last week with most total viewers, averaging 2.66 million viewers overall compared to “The Late Show’s” 2.62 million. Fallon also saw a 62 percent demo margin over Colbert, which is its highest since the week of Jan. 9-13. He had a 0.68 rating in the advertiser-coveted 18-49 demographic, compared to Colbert’s 0.42. This is the second week in a row that “The Tonight Show” can claim its biggest margin of victory versus its biggest competitor in five months. Last week also saw Fallon’s highest ratings in that demo in 11 weeks, or since the week of April 3-7. One reason for this switch, however, could be because CBS didn’t count Thursday and Friday’s ratings, since “The Late Show” was in reruns during those days while Colbert traveled to Russia. Colbert has been dominant in late night since the inauguration, leading with Trump and politics-heavy openings and bits while Fallon has kept with the celebrity-centric skits and games that have made up his show for years. However, “The Tonight Show” still has solid high season averages over both “The Late Show” and “Jimmy Kimmel Live!” It has a 0.80 rating season average versus CBS’ 0.58 and ABC’s 0.49. 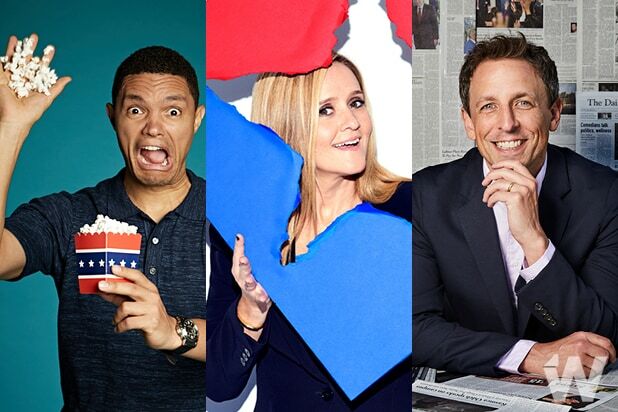 NBC continues its late-night dominance in the next time slot, with “Late Night,” hosted by Seth Meyers, beating “The Late Late Show” with James Corden in season averages — 0.41/3 versus 0.30/2 respectively. “Late Night” remains in the lead among multiple groups, including adults and women 18-34, men and women 25-54, and total viewers.